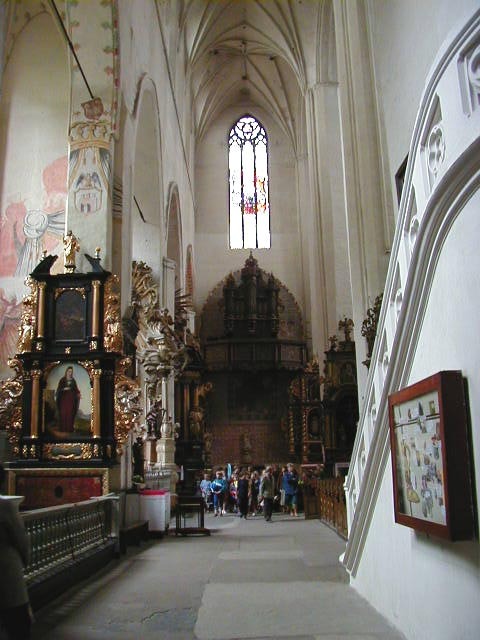 I arrived in Torun on Wednesday and left for Warsaw on Friday. 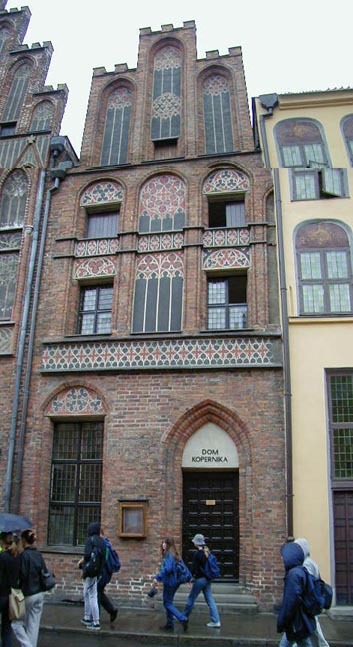 It doesn't take long to see Torun, but it is an easy stop on the way from Gdansk to Warsaw and worth a short visit. 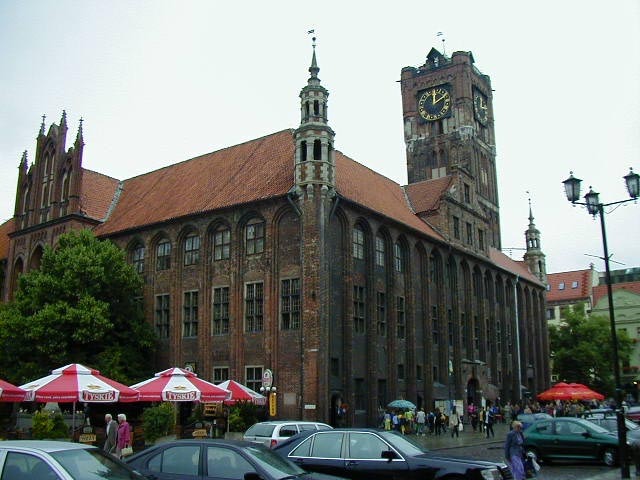 Torun is a university town that is the birthplace of Nicholaus Copernicus, the man who proved that the earth moves around the sun, not the other way around. 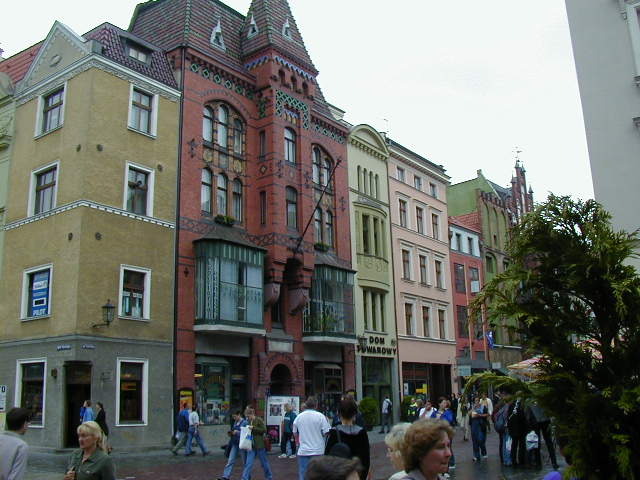 It survived World War II with little damage and has a really nice, mostly authentic medieval quarter. 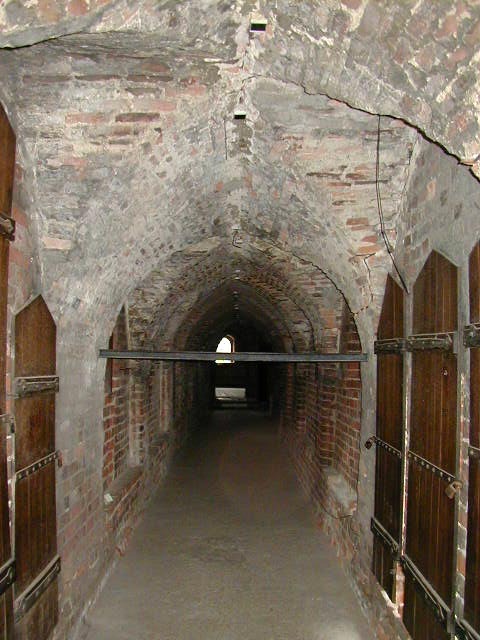 Much of the original defensive walls are still standing, along with some guard towers, one of which is leaning noticeably. 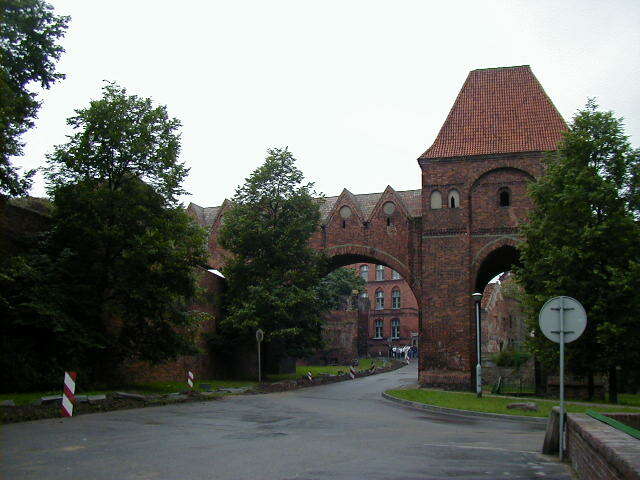 There are also original gates along the river, some nice medieval houses and old town hall. 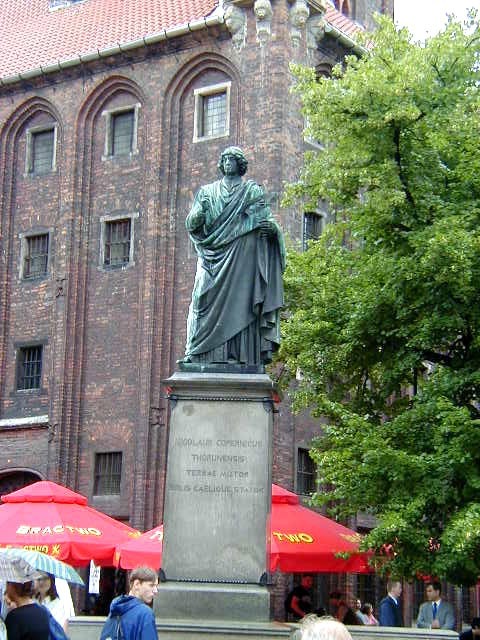 Torun is really proud of Nicholaus Copernicus. 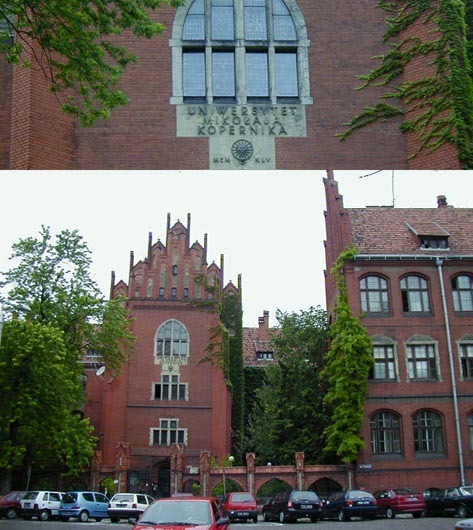 They have his statue, his house, and the Universytet Mikolaj Kopernik (University Nicholaus Copernicus). You remember the story of the Pied Piper who played a flute and led all the rats out of the city? 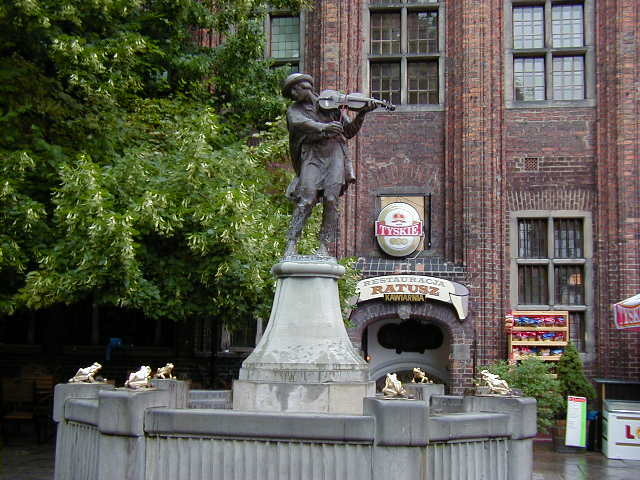 Well Torun has their own story of a boy fiddler who lured all the frogs out of Torun. I never got the full story. Too bad. 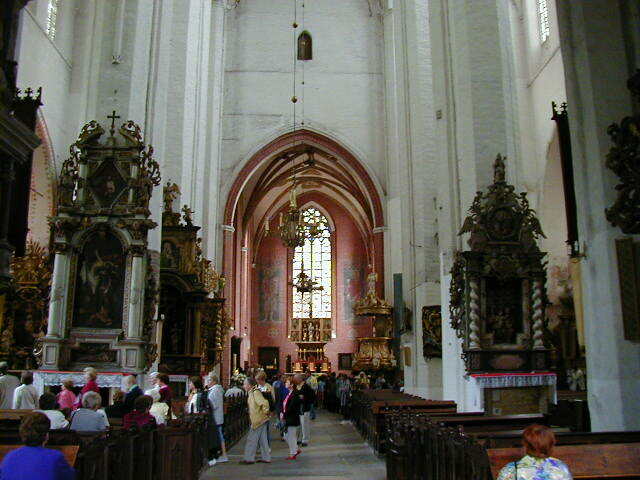 Torun also has several churches, the most impressive being St Mary's. I couldn't get a decent exterior shot, just some interior pictures. 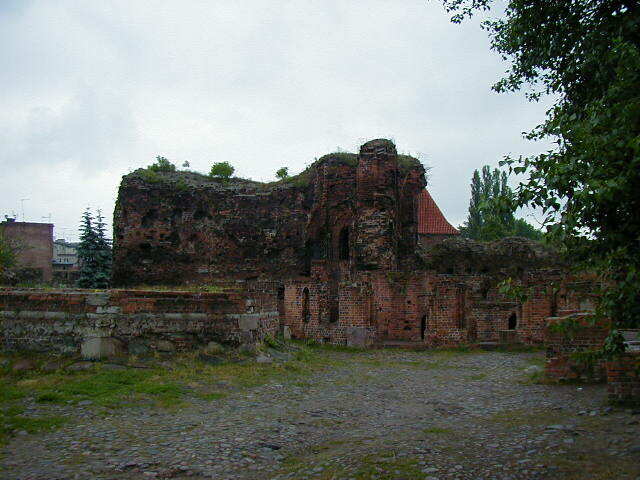 Torun once had a castle; now it just has some remnants. It suffered the usual damage and restoration over the years, but its final downfall came when it was deemed unnecessary. I'd never thought of this before, but if you're a king, duke, prince, something like that, and you have a castle you no longer need, then you have to do something with it. You don't want it standing around empty, waiting for some troublemakers to occupy and use against you. No, if you're not going to use it, it's best to lose it. That's what happened to Torun's castle, when no longer needed it was demolished enough to be of little use to anyone tempted to grab it. Peace can be more of a threat to a castle than war. 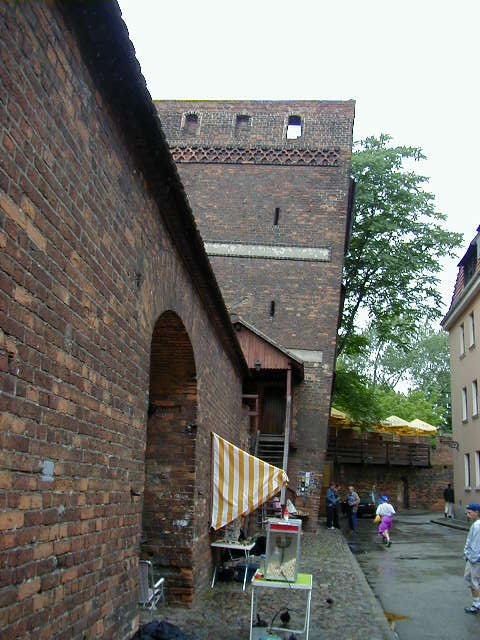 In spite of this Torun's castle has been partially restored and still has some buildings, foundations and the all important toilet tower, shown in the last picture. 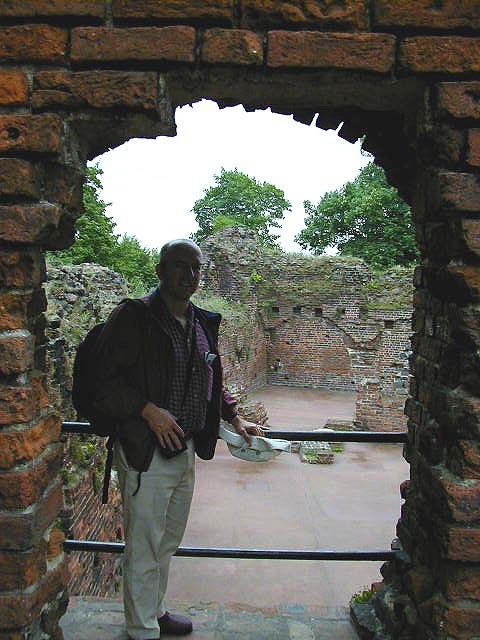 The toilet tower has its unusual design because it stood over the moat (which has been filled in) and had a protected walkway connecting it to the rest of the castle. If you're wondering why it stood over the moat, think about the name. 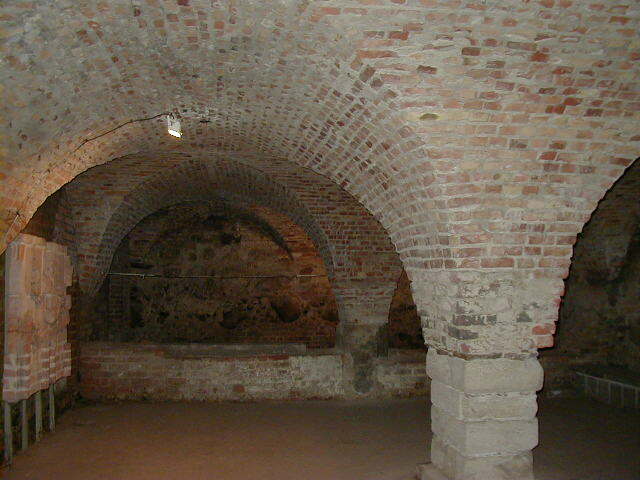 It does not take long to see Torun, but what is there is worth seeing. After my short visit I was back on a train, heading to Warsaw.